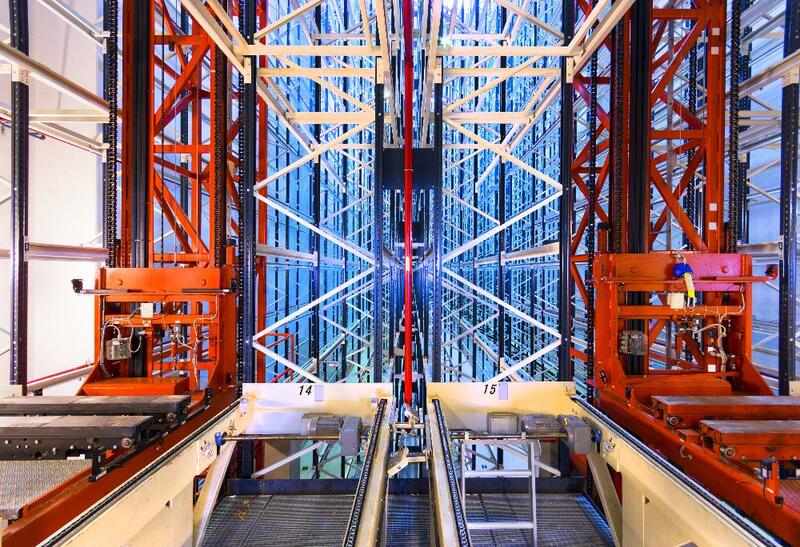 An Automated Storage & Retrieval System (ASRS) consists of Computer Controlled & PLC based stacker crane driven system for automatically placing & retrieving materials from defined storage locations. The ASRS is generally used in situations involving high volumes of goods storage. It allows more storage space due to high-density storage & narrower aisles. It exploits the vertical height of each Warehouse. 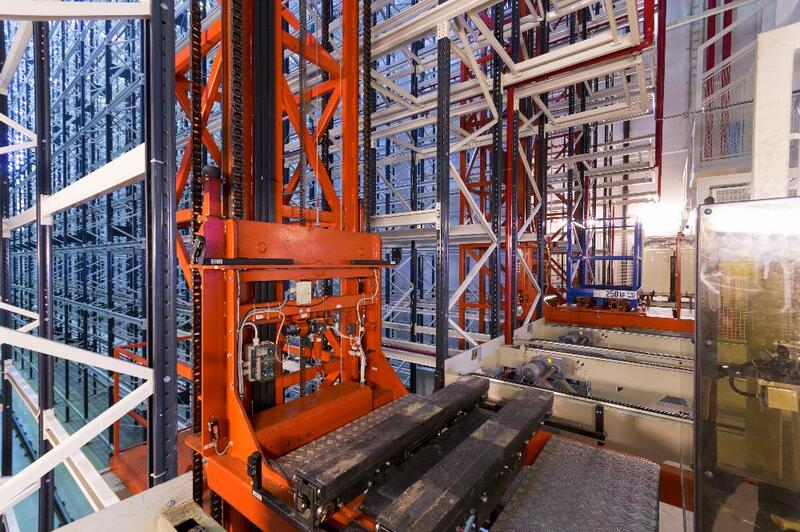 An ASRS based storage automation solution increases efficiency of Material Tracking, handling and overall throughput. Inventory is maintained on a FIFO basis and is managed through our advanced Inventory Management System, which also interfaces with the electromechanical components to optionally control the pick and place operations. Space saving: It utilizes complete length, height and depth of the stores to ensure high density storage. Cost cutting: A single retriever over the long storage space reduces system cost. Flexibility in material storage: Material with variable weight, sizes and shapes can stored. Quick retrieval: The retriever moves in both planes simultaneously and ensures quick retrieval. Security of material: The system is closed from all the sides and there is only one window for storage and retrieval of material. Easy expansion: Over a period, racks can be added in the existing system. Reduced manpower: The entire storage system can be handled only by one or two persons. Time saving: More number of cycles per hour reduces time in material retrieval. Advanced Inventory Management Software: Tech-Mark provides a specially developed software for Complete Inventory Management which can be easily integrated with the existing ERPs & other systems.Software also functions as an integrated component of a warehouse management system which can help users to accurately track, store & retrieve material from locations at a distance within a warehouse.